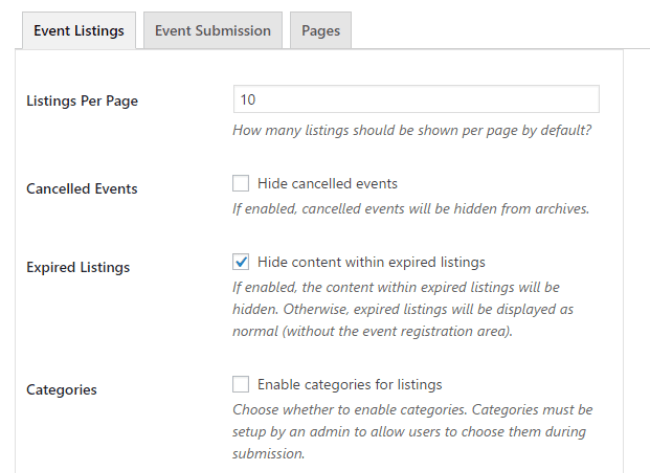 Need to add event listings to your WordPress site? The plugin I’m going to look at in this review helps you add powerful event listing functionality to WordPress. You’ll get features like front-end event creation forms, sortable event listings, and lots more. Best of all? All the core functionality is 100% free. 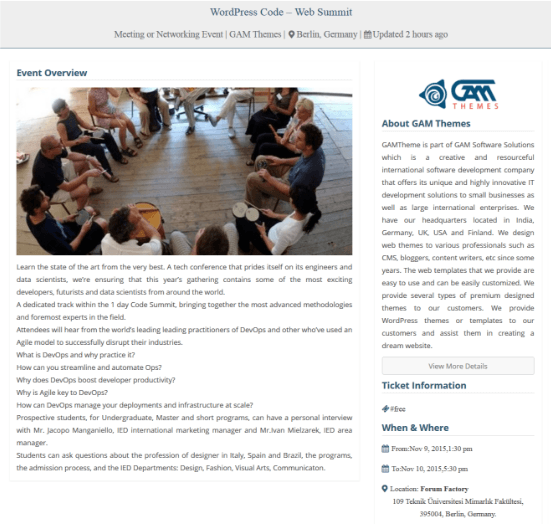 The plugin is called WP Event Manager and comes from a company named, GAM Software Solutions. In this review, I’ll tell you about the features of WP Event Manager and who can benefit from using it. Then, I’ll go hands on and show you how the plugin works. And finally, I’ll tell you about some of the cool premium add-ons you can purchase to add additional functionality. One thing I’ll say before starting is that you get a very generous feature set in the free version. While the premium add-ons do add some helpful features, you may not even need them depending on what specifically you need the plugin for. What is WP Event Manager? 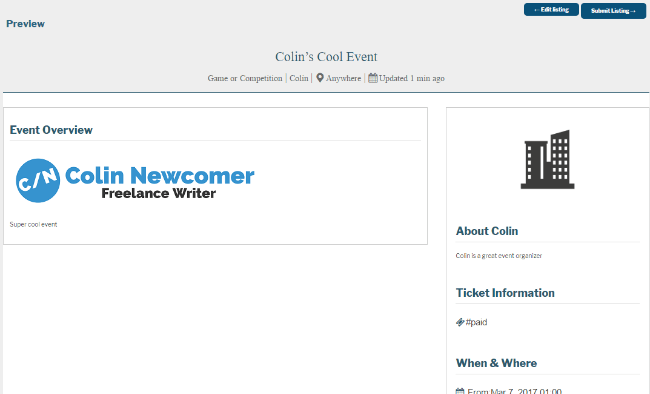 WP Event Manager adds full support for event listings to WordPress. It’s like EventBrite, but unique to your WordPress site. You can use it to create and manage your own events. Or, you can also accept user submissions via a front-end form. You can even combine both options for the best of both worlds. 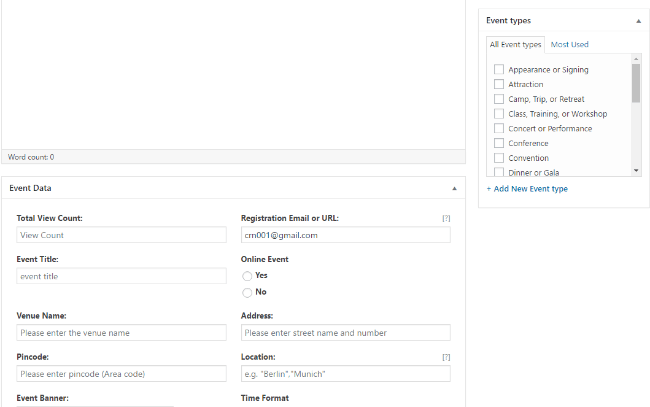 Once you have some events listed, WP Event Manager lets visitors easily browse and filter all of your events. 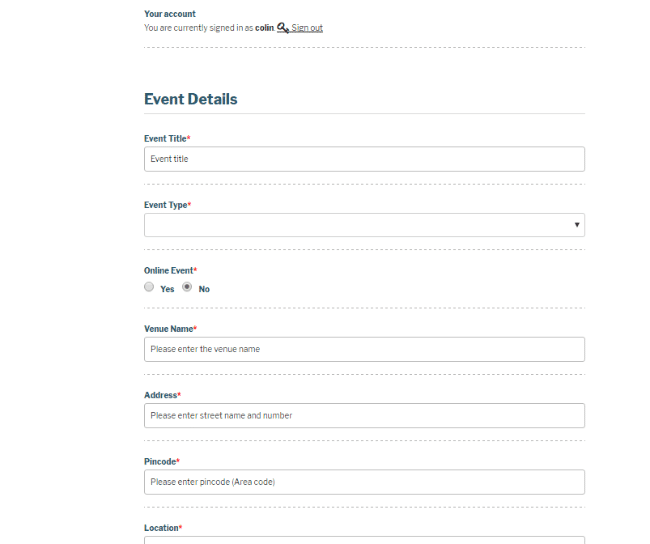 Then, depending on the add-ons you have, visitors can even buy tickets or register using a front-end form. WP Event Manager works for both offline and online events and is super easy to set up (I’ll show you that in a little!). And if pay for some of the premium add-ons, you can sell tickets through WooCommerce, create Google Maps location listings, allow attendees to register through an online form, and lots, lots more. Who is WP Event Manager For? 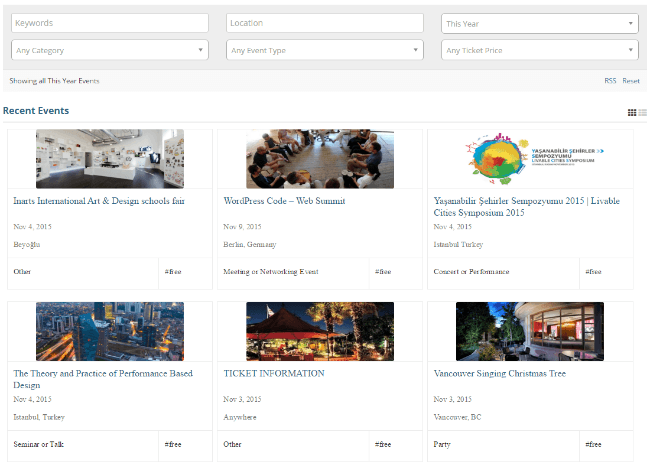 WP Event Manager is for pretty much anyone who needs to showcase event listings. I know that’s pretty general, but it’s true. And like I said above, you can also combine the two. And because WP Event Manager works with both online and offline events, there are tons of potential uses. For example, you could use the plugin to list your upcoming webinars. Or, you could use it to list out upcoming offline meetups. I also think WP Event Manager is great for WordPress developers. Lots of clients need the ability to showcase event listings. WP Event Manager gives you a lightweight, open source, method to do that. And that’s it. Pages created! Let’s configure. 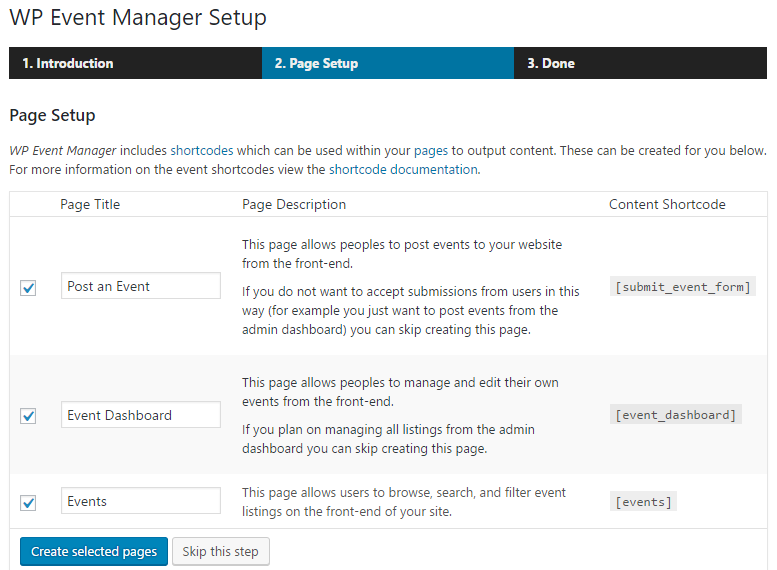 You don’t need to configure very much to use WP Event Manager. Most of the options revolve around how your event listing and submission process works. And on the Event Submission tab, you can choose whether or not to allow anonymous accounts to create events, as well as how the account creation process works. Personally, I’d recommend against allowing anonymous accounts, but it’s nice to have the option to go either way. Again, it’s probably a good idea to always require moderation to ensure your listings stay high quality. And that’s it for configuration. Easy enough, right? The form is lengthy but covers all pertinent details. You can remove form fields or add new fields using simple code (they have a tutorial for it), but there’s no beginner friendly way to customize form fields at this time. You might need some CSS to pretty up the page, but the basic layout is good. I like the preview function a lot. The form is long, so it’s nice to be able to double check everything before submitting. The information is all the same. But I think the dashboard might be a little easier to work with. Again, depending on your theme’s CSS, you might need to add a little customization to make your event listings look pretty. WP Event Manager also includes a sidebar widget to help you display upcoming events, which is a nice touch. You can choose how much control people have. But by default, they can edit, cancel, duplicate, or delete their events. WooCommerce Sell Tickets – $39 – sell event tickets through WooCommerce. Registrations – $39 – lets visitors register for events using a form instead of needing to manually contact the event organizer. Google Maps – $39 – lets visitors search via map by integrating Google Maps into your event listings. Events Calendar – $39 – easily display a calendar style listing for all of your upcoming events. 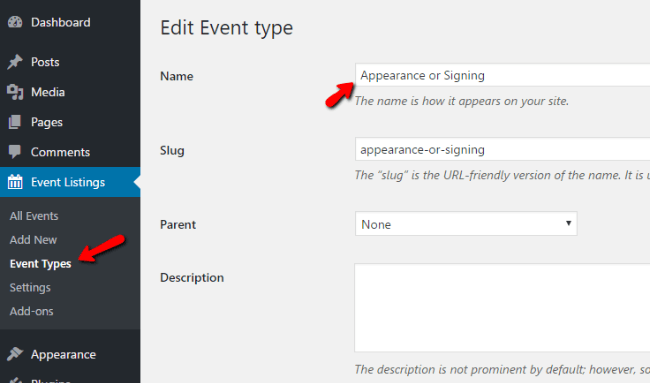 Embeddable Event Widget – $19 – lets users embed their event listings on other websites. WP Event Manager also offers a number of other paid add-ons. You can view the full list here. WP Event Manager is easy to use and set up. It only takes a few minutes to get up and going. And I like that it includes a setup wizard to automatically create all the necessary pages. I also think it’s great that it includes front-end submission forms even in the free version. Most plugins would make that feature premium. I do wish you had a little more control over the form on the front-end, but I don’t think that’s a huge issue because you can still make changes with code (and it’s not too complex). The premium add-ons also give you the option of adding a number of key features like ticket sales, calendars, and Google Maps style listings. You might need to add a little custom CSS to make WP Event Manager beautiful (as with most plugins), but I think the functionality has everything you need to create a high-powered event listing site. Users can submit events from the front-end, visitors can easily sort and filter events to find what they’re interested in, and you can oversee and manage everything from the backend. 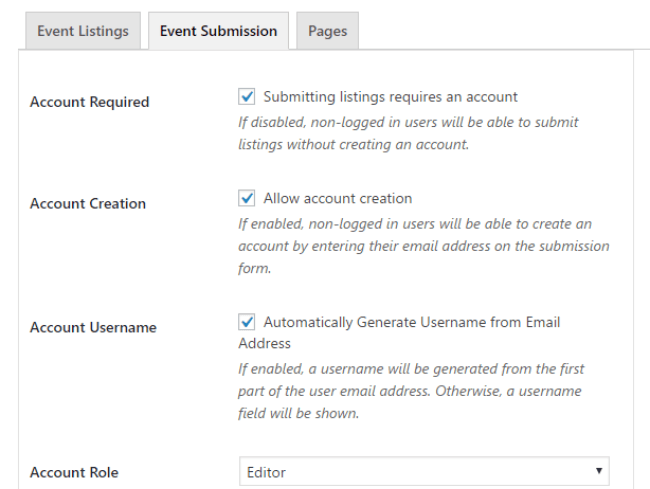 Definitely give WP Event Manager a look if you need to add event listings to WordPress.